Logic holds that taxes cannot exceed the value of the thing being taxed. Income taxes cannot exceed 100%, though FDR wanted them to. Sales taxes can never exceed 100% because the value of the good must make up a certain percentage of the cost. Property taxes can never exceed the value of the property because the value of the property would immediately fall to zero and there would be nothing to tax. But with today’s Supreme Court ruling on Obamacare, in which non-activity is being taxed, there is no limit to the taxes that could, in theory, be imposed. The government could, if it wanted to, implement a tax of whatever it wants, let’s say one million dollars per person, for not buying health insurance, or not buying a house, or not buying something else. It is a signal advantage of taxes on articles of consumption, that they contain in their own nature a security against excess. They prescribe their own limit; which cannot be exceeded without defeating the end proposed, that is, an extension of the revenue. When applied to this object, the saying is as just as it is witty, that, “in political arithmetic, two and two do not always make four.” If duties are too high, they lessen the consumption; the collection is eluded; and the product to the treasury is not so great as when they are confined within proper and moderate bounds. This forms a complete barrier against any material oppression of the citizens by taxes of this class, and is itself a natural limitation of the power of imposing them. 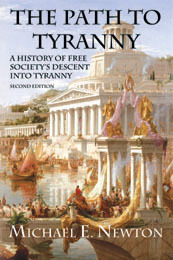 Unlike Hamilton’s and the Founder’s system of relying primarily but not exclusively on consumption taxes, we now have a system wherein a tax can exceed a person’s income or net worth and be totally “constitutional.” The Obamacare penalty, I mean tax, can be set at whatever dollar level the politicians choose regardless of income or wealth. Or they can enact other similar taxes for not purchasing a given good or service. They have paved the way for unlimited taxes . A power to appropriate money with this latitude which is granted too in express terms would not carry a power to do any other thing, not authorised in the constitution, either expressly or by fair implication. 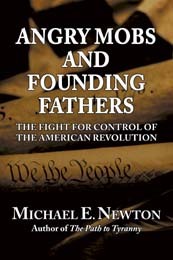 – Michael E. Newton is the author of the highly acclaimed The Path to Tyranny: A History of Free Society’s Descent into Tyranny and Angry Mobs and Founding Fathers: The Fight for Control of the American Revolution. He is currently writing a book about Alexander Hamilton. I’m tired of hearing Warren Buffett complain about not paying enough in taxes. I propose a 10% property tax on all Americans with personal wealth in excess of $40 billion. This should bring the government about $10.5 billion in new revenue; $4.4 billion from Warren Buffett and $6.1 billion from Bill Gates. What say you Mr. Buffett? Willing to put your money where your mouth is? Must read information from Conservatives on Fire. We can’t let the neo-liberals continue their tax and spend policies. SO OBAMA’S PEOPLE ARE TALKING TAX INCREASES AGAIN. Here’s my proposal: A 50% surtax on anything earned within five years after leaving the federal government, above whatever the federal salary was. Leave a $150K job at the White House, take a $1M job with Goldman, Sachs, pay a $425K surtax. Some House Republican should add this to a bill and watch the Dems react. Seems like another good argument for my 50% surtax on the earnings of former government officials. After all, at least half of Orszag’s value to Citibank comes from his prior government service. Why shouldn’t the taxpayers claw some of that back? Shared sacrifice, dude. . . . While I almost always oppose taxes, I might be able to get behind this one. However, I don’t like the idea of a surtax. I think it should be called a windfall profit tax. Nearly half of California’s income taxes before the recession came from the top 1% of earners: households that took in more than $490,000 a year. High earners, it turns out, have especially volatile incomes—their earnings fell by more than twice as much as the rest of the population’s during the recession. When they crashed, they took California’s finances down with them. Maybe, instead of villainizing the rich, the people should pray for their success. And instead of taxing them to death, the government should enable and encourage them to prosper.